The Basement Crew returns from the 4th of July break with two weeks worth of awesome books ready for review! Well....mostly awesome. Ok, really it was kind of a half and half thing. Some were good, some really weren't. But that's what you're watching Pete's Basement for! So you know which ones to avoid! Van Jensen's Cryptocracy and Eric Powell's Hillbilly are two books you DEFINITELY want to get a hold of! 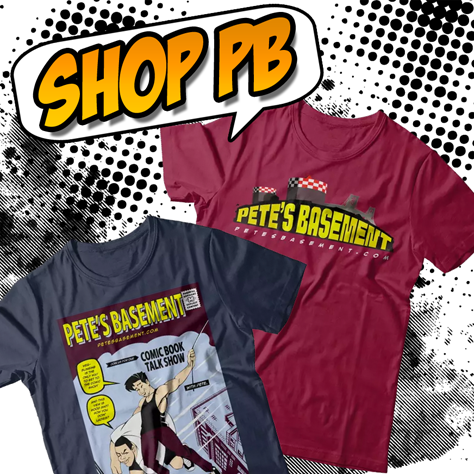 Pete's Basement Season 7, Episode 35 EXTRA!! Pete, Ramon, Cheezeburger and Rich hit the roundtable to talk about all the books they didn't get to in Episode 35! Including Death of Wolverine: Weapon X, The Spider-Verse, Rasputin, and many more! Its a whole Extra hour of Pete's Basement! !